Revisiting The MCU: CAPTAIN AMERICA - THE FIRST AVENGER | Warped Factor - Words in the Key of Geek. Our look back at the movies from the Marvel Cinematic Universe has reached Captain America's debut outing. 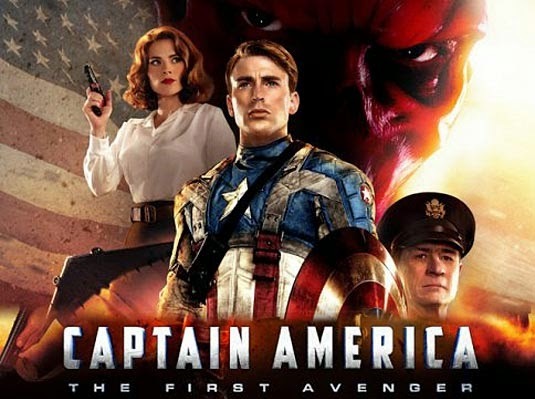 Matthew Kresal revisits The First Avenger. On the surface, perhaps no member of The Avengers would seem more difficult to bring to a modern audience than Steve Rogers aka Captain America. Seen as perhaps something of an artifact of a time gone by, here was a character whose jump to the big screen had long been stuck in development hell. Despite a somewhat ironic title (the irony being that this would be the last of the origin films released before The Avengers), 2011 saw Cap make the leap successfully in Captain America: The First Avenger, bringing with him an interesting new angle in the Marvel Cinematic Universe. A large part of the success of the film might well be down to the choice of leading man. Chris Evans was an initially controversial choice to play the role, due in large part to his already having played another notable Marvel hero in the two Fantastic Four films some years previously. Yet like Daniel Craig's James Bond, once given the chance to see him in action the criticisms were largely silenced. Evans managed to successfully play not just the almost superhuman commando we've come to know and love but also the man Steve Rogers was before that: a puny, young guy from Brooklyn who seemed to embody the old saying about nice guys finishing last. Evans keeps that good guy aspect of the character in sight throughout the film from his interactions with his fellow characters to his reactions to events. Evans managed to take a potentially cliched superhero from another time and make him into a genuinely likeable character. For that matter, the film all around has a strong cast. 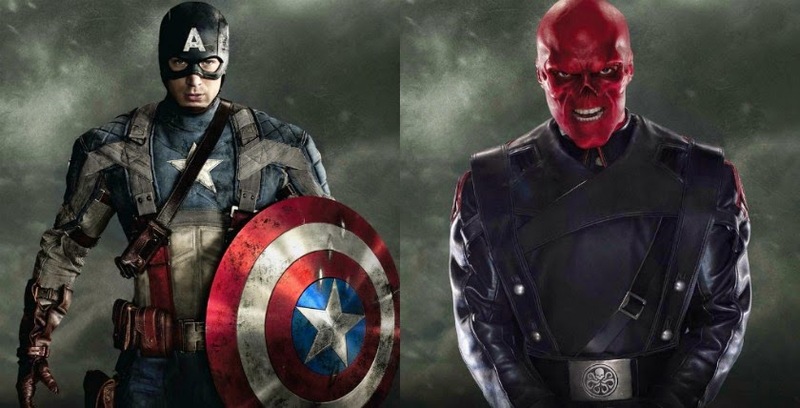 Hugo Weaving makes a fine nemesis in the form of Hydra leader Johann Schmidt, bringing a suitably sinister air to the character right from his very first scene in the film to the dramatic moment about midway through when he reveals the Red Skull persona (itself a triumph of prosthetic makeup). Sebastian Stan's Bucky Barnes is notable as well both for his chemistry with Evans' Rogers, which makes their friendship believable even when their roles are reversed, and also for firmly establishing an idea of the character in the mind of the audience (something even more important in light of where the character would eventually be developed in the future). Filling in more traditional roles with memorable performances are Toby Jones as Hydra scientest Arnim Zola, Tommy Lee Jones as the initially skeptical commander of the Strategic Scientific Reserve and Stanley Tucci as ex-pat German scientist Dr. Abraham Erskine who recruits Rogers. Though the film's setting during the Second World War means that female characters are fairly few, the character from the film besides Rogers that perhaps stands out the most is Haley Atwell's Peggy Carter. While she does, as she did in the comics, become something of a love interest for Rogers, thankfully there's far more to the character than that. Atwell in interviews described the character as “She can do everything Captain America can do, but backwards and in high heels,” and the action sequences in which Carter appears certainly rather prove that point. As a result, it's something that makes her getting her own TV series not surprising in the very least. The film's production values are strong, especially given its Second World War setting. Through its combination of script, production design and costuming, the film successfully blends the technology and weapons of that conflict with aspects of the previously established Marvel universe (both comic and cinematic, the latter perhaps being more as a result of Joss Whedon's uncredited work on the script). In fact some of the seemingly more outlandish designs form the film such as the rocket like craft Schmidt uses at one point or the large flying wing plane where the film's climactic confrontation takes place are in fact based on real life plans drawn up by the Germans during the war (the Triebflügeljäger fighter plane and the Horten H.XVIII respectively). Director Joe Johnston, whose previous films include period set works such as the cult film The Rocketeer and October Sky, was a perfect choice to direct the film which combines period setting and characters with action sequences (indeed The Rocketeer arguably bares some similarities to the film itself). The icing on the cake might well be the score from Alan Silvestri which manages to be exciting and yet timeless at the same time. The results make the film as strong as it is.